I have very stubborn sun spots and melasma. This made absolutely no difference on my dark spots. With high hopes I used it religiously am & pm for about 3 months & saw NO fading of melasma & sunspots. Very disappointing, since it had gotten good reviews, and I wanted to try something without HQ. (Makes me wonder if the reviews were for the one with HQ!) Unfortunately, it was a waste of time and $$! When you have three children in three years, your body doesn't have time to recuperate, thus the melasma has been a prevelant problem for me for over 13 years. Last year I decided to take some serious action. I do live in a sunny climate, so it can be challenging, but this gel has dramatically made a difference over a year's use. Alternate it with the pigment bar cleanser (do one at night one in the day)and you have a winning team. Be sure to moisturize! It keeps the area from being too distressed and dry. I await what the next few months will do! I was introduced to this product through a dermatologist after having a botox injection. I never went back for more botox, but can't live without this product. We were evacuated in the so. california wildfires and when we returned home and unpacked, couldn't find my bottle. Needless to say, I'm ordering 2 this time. As a former sun worshiper, I now have brown spots all over my face. I had one very large spot - size of a thumbprint - on my cheek. People were constantly trying to wipe the "smudge" off my face. My dermatologist treated it with a CO2 blast, but it came back over time - much darker. I have used all sorts of products that promise to fade brown spots - none worked - until PCA Phaze 13. This stuff sort of fried it away - it is gone and the area looks great! I've got 2 of my girlfriends hooked on it now. You have to put up with some crustiness for a few days, but it is sooooo worth it! I have fair skin with dark sun spots and discoloration on my cheeks and nose area. After one week of using this product, I actually saw a big difference in my skin. The discoloration had lightened tremendously. 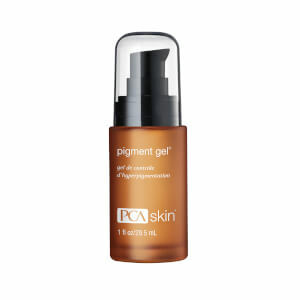 For me, the results were very visible, and I've tried many products claiming to fade hyperpigmentation. This is the very first product that does what it claims. It's a must try!! I've been using this since mid-August; didn't think it was working then all of a sudden I noticed a lightening of my liver spots. I have been using this product for a few weeks now and noticed that the areas where I've been using this product looks "burned". One area next to my nose is now red and feels soft. It looks damaged. I love this product.I have brown spots right on my cheeks that a I've tried for years to get rid off but nothing help.This one was gentle enough and my skin started to lighten .I just purchased my second bottles.